Make perfect pasta and vegetables in 1 easy step. Stainless steel. Drain holes in lid allow steam to escape. 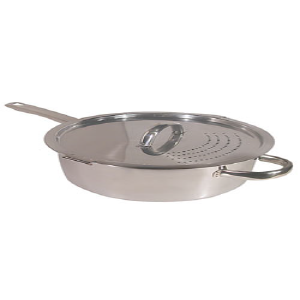 Lock-on tabs keep lid tight and prevent food and hot water from spilling over. 3 Qt. Size.